The electrocardiogram is the key to understanding disorders of heart rhythm. The electrocardiogram (ECG) has been known for about 100 years, having been first recorded by a Doctor Waller on his pet bulldog. The principle is a simple one. When any muscle contracts, it does so by the shortening of protein molecule chains within the cell. The energy used and the reaction itself are chemical. The change however, is accompanied by a movement of potassium ions from outside the cell wall to inside the cell wall. Since potassium (K+) carries a positive charge, the contraction is accompanied by a change in voltage of the cell surface, from positive to negative. 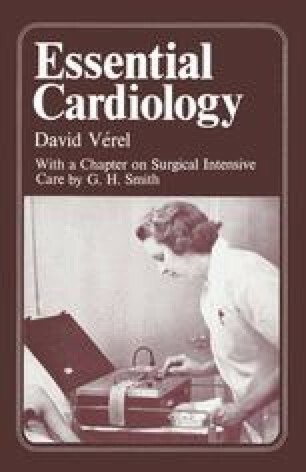 The electrocardiograph (the name given to the machine which records the electrocardiogram) is simply a sensitive voltmeter capable of recording millivolts (thousandths of volts). It is important to remember that all muscles have this property and so, if the ECG is being recorded from the limbs, movement or limb muscle tremor will also be recorded and produce voltage changes in the ECG.